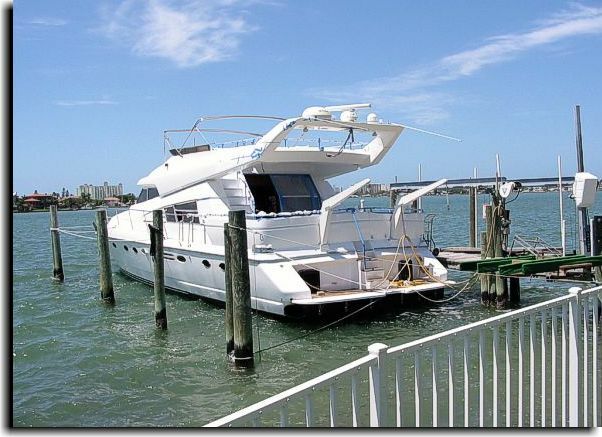 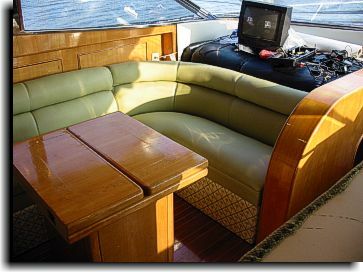 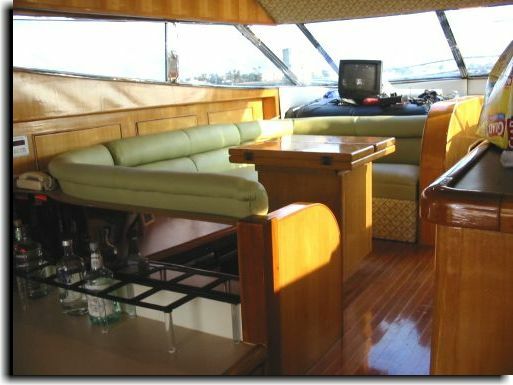 This was a very extensive upholstery project on the interior of this 65' sport fisherman. 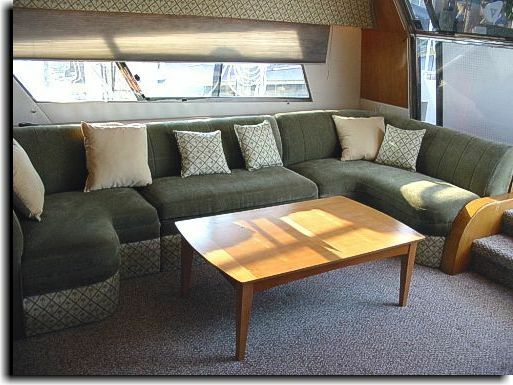 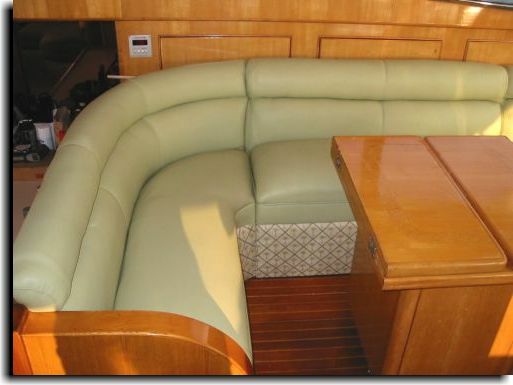 Catalina Custom upholstered the couch in the main lounging area in a customer supplied green cloth. 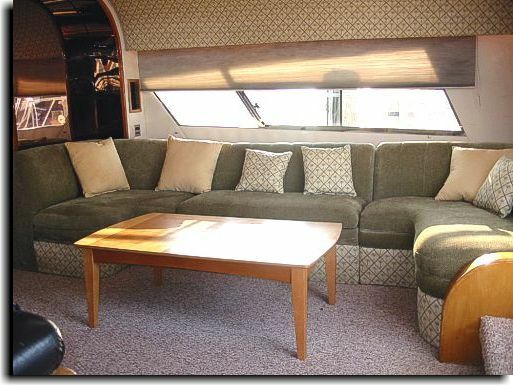 Using a medium green UltraLeather HP, the dining lounge area seating was recovered. 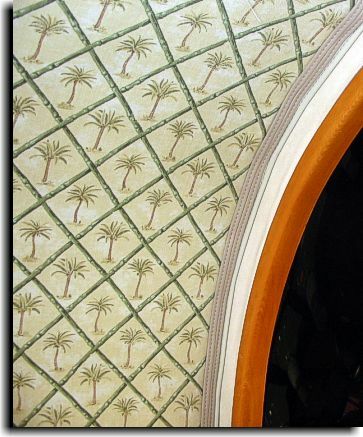 Wall panels in the main seating area had a nice palm tree diamond patterned designed fabric ( a close-up of this material may be viewed at the bottom of the page). 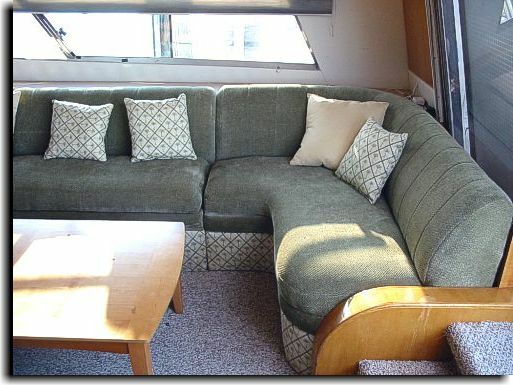 Also, various headliner panels were recovered.